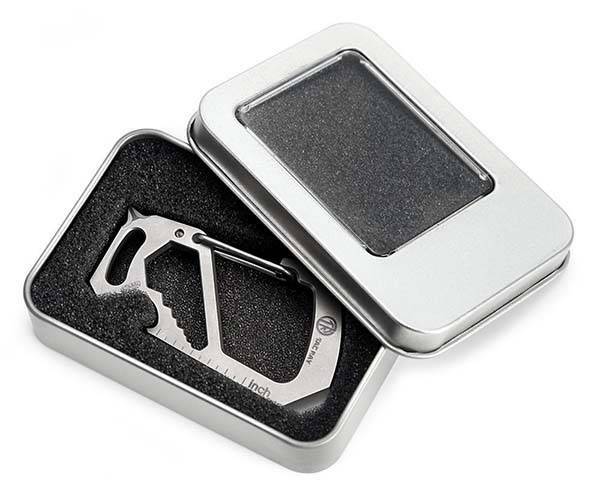 Using integrated multi-tool Tacray titanium EDC keychain helps you deal with various tasks during your camping trip or in daily life. Like the design? Let’s continue checking. 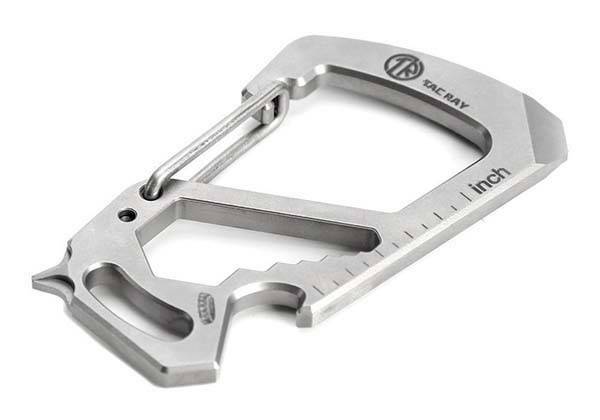 This is a multi-functional and practical EDC keychain that measures 2.8 x 1.6 x 0.2 inches and weighs 0.6 ounces. As we can see from the images, the multi-tool keychain sports a compact and lightweight design, and using a carabiner, you can easily attach it to a key ring for keeping your keys organized and easy to access its interested tools. The EDC keychain multitool is made of genuine Ti-6AL-4V titanium alloy that delivers a solid and long-lasting construction. 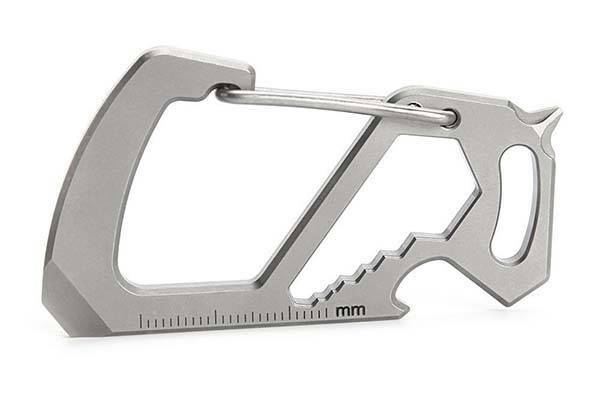 More importantly, its multi-tool feature provides you multiple practical tools including bottle opener, scraper, flat-head screwdriver, pry tool, ruler and wrench, so it’s ideal for any outdoor adventure and daily use. In addition, the keychain is airport friendly. The titanium EDC keychain is priced at $25 USD. If you’re interested, jump to Amazon for its more details.